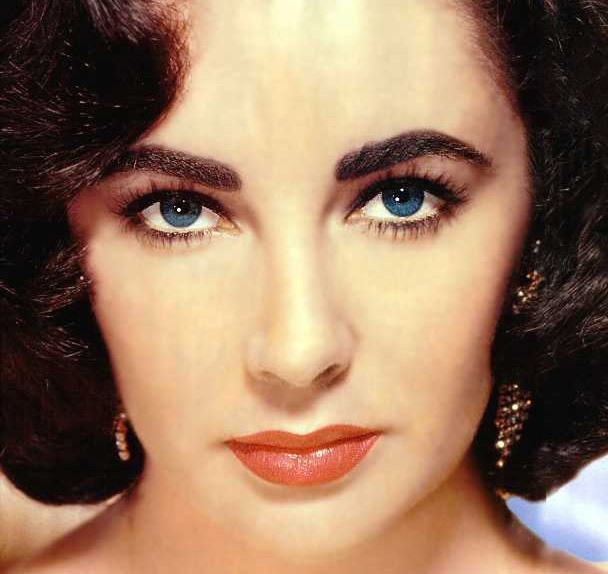 There is no doubt, long before Angelina Jolie, Scarlet Johanson and Charlize Theron, there was Elizabeth Taylor. She was the first face of classic Hollywood beauty combining fragrance with cache. Oh sure, Merle Oberon and many from the classic era lent their images to advertising, but Liz was the first to do it with such panache. Here is an article from today's Ad Age that recaps her career and influence on the business of ads. When Elizabeth Taylor -- who died Wednesday of congestive heart failure at the age of 79 -- wasn't delivering Academy Award-winning performances in some of Hollywood's most memorable films of the 1940s, '50s and '60s, she was lending her image and influence to brands. Most notably, she teamed with Elizabeth Arden Co. to produce a series of fragrances closely associated with her "Golden Age" persona, including "Passion," "White Diamonds" and "Black Pearls." Her 1991 "White Diamonds" TV spot, in which she delivers her famous line "These have always brought me luck" is still airing, especially during the holidays. In 1996, she made headlines by working with CBS to integrate her and "Black Pearls" fragrance into the story lines of four Monday night prime-time shows on the same evening. It is testament to Ms. Taylor's legend that no other celebrity has been able to pull off an integration deal of that scope since. But it wasn't only fragrances; from when she was at the peak of her fame to the final decades of her life, Ms. Taylor's visage was plastered across ads for products like Whitman's chocolate, Lustre-Creme Shampoo, Lux Soap, Max Factor cosmetics and ArtCarved Diamonds.